At A Better Garage Door we’ve been in the business for some 22 years now and have seen a bit of everything. But perhaps no garage door-related phenomenon has been as unexpected or had the kind of far reaching implications for the industry as the rise of the DC powered garage door opener. As recently as 10 or 15 years ago the dominance of AC-powered openers was unquestioned and there seemed no reason to doubt things would stay that way. 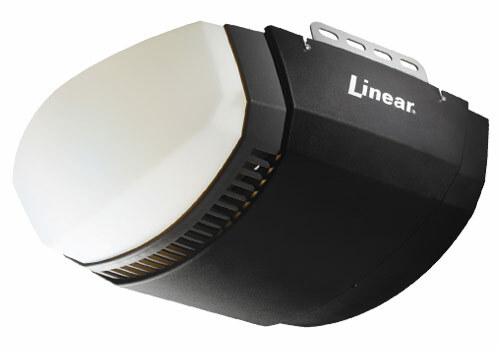 Energy savings: A DC powered garage door opener uses less energy than its AC counterpart. Variable start and stop speeds: AC motors are durable and long lasting as mentioned above but one thing they are not is versatile. In contrast a DC motor is able to vary the speed with which it starts the opening process and concludes the closing process. As a result the DC motor is gentler on the door’s components and you can expect your door to last longer. They’re quieter: As DC motors typically use far less power they almost always run quieter than standard AC garage door openers. Some are practically undetectable from inside the house when they’re in motion. Full duration monitoring: Fully duration or constant monitoring allows the door to shift gears and reverse quickly should anything obstruct or otherwise impede its motion. AC motors also have the ability to reverse course but DC motors are able to do so more quickly and smoothly. Battery backup capability: A number of modern DC garage door openers offer optional battery backup in case of power outage. This option simply isn’t on the table with AC powered openers because they require so much power to operate. A DC powered motor running on backup batteries can typically go through as many as 20 open/close cycles in a 24 hour period. As a result of all these advantages DC powered garage doors are slowly but surely displacing AC openers and, if anything, the trend is only accelerating. An Internet gateway: Many new DC powered garage doors feature an Internet gateway that allows remote monitoring and operation of the door as well as mobile apps that will allow the same control from your iPhone, Blackberry or Android device. Garage door monitoring: These apps tell you what’s going on with your garage door at any given time. Think you might have left it open? Your monitoring app will let you know. Want to know when people are opening and closing the door? The app can inform you of any activity. Auto close mechanism: If you don’t use a garage door monitoring app you no longer need worry about whether you left the door open. New, auto close mechanisms will make sure the door closes automatically after a set period of time to ensure the safety and security of everyone. Smartphone control: There are a number of apps available today that will provide you total control over your garage door regardless of where you are on planet earth. Took off for Timbuktu and forgot to close the door? No problem. Log into the door remotely and close it from half a world away and receive an email confirmation that the door has been closed. Of course the usual high tech extras also apply including the ability to program your garage door into the home security system, smart control panels that will tell you everything from the time to the temperature inside the garage and of course that high-tech staple; wireless keyless entry. Whether you live in Denver, Erie or anywhere else DC powered garage doors are here to stay. Small, quiet, versatile and tech friendly the DC garage door opener is paving the way for greater integration of the garage door into the digital life of the home. Now that we know all about DC Garage Door Openers let’s take a look what else is out there. Choosing a garage door opener can seem like a monumental task, especially with many local options and a mélange of information on the web. But taking some basic guidelines into consideration, consumers in the Commerce City and Arvada areas can feel the weight of choosing the right opener lifted. Choosing a drive mechanism will often solve two of the most common problems homeowners consider when choosing between garage door openers: cost and noise. Chain drives are the least expensive, most common option. They use a metal chain, similar to a bike chain, to open and close the garage door. Typically known for making the most noise, chain drives now have newer options that separate the chain from the track. Screw drives operate on a threaded steel rod that turns and opens and closes the door. They come at a higher cost, but because of their relatively simple mechanism, they are a reliable option. Belt drives use a rubbery belt on a cog to open and close doors. These models can be more expensive, but are one of the quietest because they don’t use any metal parts. Jackshaft drives are attached to the front wall of the garage and require no overhead parts. Cables attached to the garage door lift and close the door using a pulley system. They are quite expensive, and therefore not as common to see, but very quiet. Direct drives use an opening system where the motor actually moves along the track with the door. Though they too come with high price tags, but because the only moving part is the motor itself, they are quiet and also tend to come with stellar warranties. There is a range of power for your garage door opener and it helps to understand a bit about what those letters and numbers mean. While looking for a garage door opener, you’ll see HP (horsepower) as well as HPS (horsepower similar) and HPC (horsepower comparable) ratings. Because HP technically isn’t the correct term for non-AC (alternating current) motors, using these horsepower equivalency ratings is just a way to make it easier for consumers to compare the motor power of garage door openers. For all intents and purposes, HPS 1/2 and HPC 1/2 are the same as HP 1/2 (or 1/2 of one unit of horsepower). Is it Right for Your Door? Now that you understand a bit about drive and power, you should consider the dimensions of your door and how that will help you make a decision. Lighter doors: Truth be told, 1/2 HP openers get the job done in most situations and are the most common model. If your door is lightweight aluminum or a quite simple model, 1/2 or even 1/4 models could serve you quite well! Heavier models: to avoid wear and tear and costly garage door repair, consumers with especially heavy doors may want to consider the next step up and get a 3/4 HP door. If your door is heavy solid wood, taller than 7 feet, longer than a one-car opening, or a particularly well-layered energy efficient model, you may want to consider this next option. Folks with heavier or oversized doors should also consider using chain drives over other types of drives. Heavier doors can put a strain on rubber belts and on the plastic fittings that screw drives fit into. Industrial. 1 HP models are typically necessary only for extra-large, long, and/or heavy industrial doors. Garage doors are now well-equipped with safety features. Most are standard-issue. For example, openers should stop and reverse downward if an infrared motion detector is interrupted or if the door comes into contact with an object. Openers may come with overhead lights, so you’re not fumbling around in a dark garage after exiting your car. Also, an added feature of the jackshaft drive is that it has an automatic deadbolt option that activates automatically when the door closes. One feature that combines safety and technology is rolling code, where the opener selects a new random code each time you activate it. This means less chance for interference or theft of your opener code. Smart features that work right through your dashboard or phone are increasingly available. These can even afford extra peace of mind to homeowners, even allowing them to see if the door is open or closed. As always, to avoid unnecessary garage door repairs, reliability is important. Often the less parts that go into a system, the less maintenance it will need. Simpler models such as chain and screw drives have stood the test of time, but they also use metal fittings, which require routine lubrication and maintenance. Still, with proper consideration and care, the right garage door opener can greatly improve your quality of life. A good garage door opener can also save you money check out 4 Ways a New Garage Door Opener Can Save You Money for some tips.